Legacy League scholarships are changing lives of students with significant financial need and challenging circumstances. Legacy League scholarships help make it possible for students with significant financial need to experience the unique benefits of a Samford University education. Our scholarship recipients have faced monumental challenges, including homelessness, foster care, inner city violence, the disability or death of a parent, having severely disabled siblings, single parent families and the sacrifices of full-time ministry. While receiving transformational scholarship funds, our students also enjoy uplifting cards, home-cooked meals, exam treats and more through the dedicated ministry of Legacy League volunteers. The organization has 29 named scholarships in addition to the Samford Legacy League Scholarship Fund. Many of these endowed scholarships were created through the combined contributions of Legacy League members and friends, while others were established by individuals and families. Every gift makes a difference, and no donation is too small. Please talk with your designated Samford Admission Counselor about eligibility for Legacy League scholarships. Scholarships are awarded to incoming new students and are renewable for three additional years if academic standards are met. A scholarship endowment is a meaningful and permanent way to honor someone, living or deceased, while helping students with significant financial need to attend Samford University. With a minimum of $25,000, given one time or incrementally over five years, a new scholarship may be established by an individual or group. Please contact Sharon Smith at 205-726-2247 for more information. The Legacy League Scholarship Fund helps make it possible for students with significant financial need and challenging circumstances to attend Samford University. Homelessness, inner city violence, the death or disability of a parent, disabled siblings, job losses and foster care are among the obstacles Legacy League scholarship recipients have faced. Your support of this fund will enable a growing number of young people who have faced these and other challenges to experience the unique benefits of a Samford University education. Amelia Perry Apperson was born Jan. 16, 1895, in Stanton, Ala. Educated at the University of Alabama, she received a teaching certificate, and her first teaching position was in a one-room schoolhouse near Maplesville, Ala. The school had eight grades with 17 students. In 1921, she married Charles Apperson and gave up her full-time teaching responsibilities to raise 11 children, although she continued to teach on a supply or part-time basis as her schedule permitted. The family lived in Fairfield in the western section of Jefferson County but later moved into an unincorporated area. For the next 30 years, Apperson immersed herself and her family in the First Baptist Church of Birmingham. In 1953, she moved to Selma, Ala., and lived with her aunt, Lottie Perry Suttles, for 25 years. While in Selma, she taught Bible at the First Baptist Church until illness forced her to return to Birmingham in 1976 to be near her children. At age 75, she traveled to Bangkok, Thailand, and taught English in a Christian center where her daughter and husband were missionaries. At age 90, she moved into an apartment at Baptist Montclair and, according to daughter Lottie Apperson Jacks, lived by herself for the first time in her life. “Those were three of the happiest years of her life,” said Lottie. On her 100th birthday, Amelia’s children honored her with a scholarship to the Samford University Auxiliary because of her respect for education and her love for children. Family members, some 75 strong, joined in the effort. “What better way to honor Mama,” said Lottie in the letter to family members that resulted in the scholarship. “If she were here today, I think she would say to the recipients of her scholarship, 'Read, learn the meaning of words, and then use your education for God’s Glory,’” said Lottie. Amelia died on Nov. 23, 1996, just two months short of her 102nd birthday. As a surprise in celebration of their 60th wedding anniversary, Ann’s husband, Ron, established the Ann Keeney Layne Scholarship with a gift from Ann’s parents, Albert B. and Evelyn Strunk Keeney. This scholarship honoring Ann was created to perpetuate her love of Samford, books, children and education. A native of Oak Ridge, Tennessee (The Atomic City), Ann is a graduate of Oak Ridge High School. After earning her B.S. in Education from UAB in 1975, she taught kindergarten. Her commitment to education is evident in her decades of involvement in Samford and Legacy League (formerly Samford Auxiliary). A Challenge member of Legacy League, Ann served as president for two years and has also held numerous other roles, including historian, greeter chair and publicity volunteer. In 2013, she received the Lolla Wurtele Wright Award for her outstanding service. 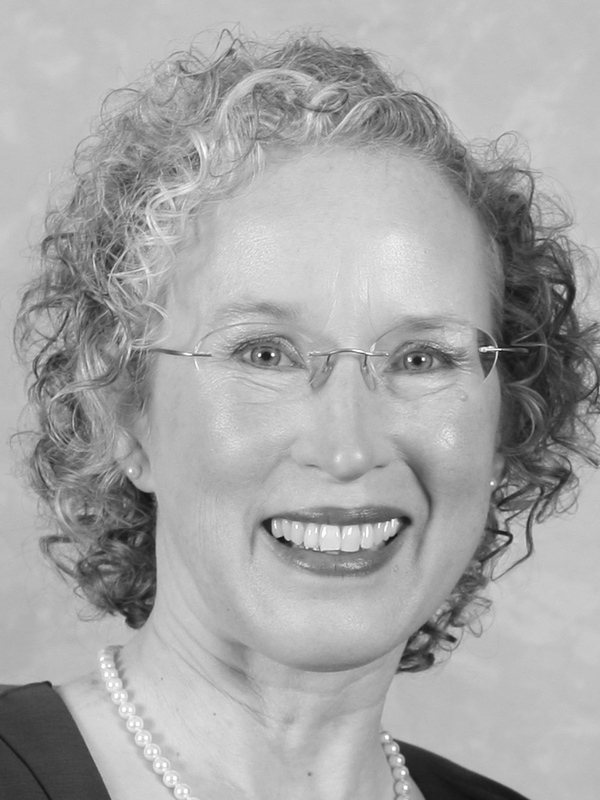 Ann is a member of the Dean’s Executive Council of the Orlean Bullard Beeson (OBB) School of Education. She served as chairman of the board of the Children’s Learning Center from its inception until its closing. Ann’s mother, Evelyn Strunk Keeney, was a Life member of the Samford Auxiliary. Ann and Ron were married on May 19, 1956. The Laynes have two children, both of whom are educators. Their son, Ron, Jr., a former Samford student, is Dean of Academics at Asheville-Buncombe Technical Community College in North Carolina. Their daughter, Jordan Sanders, a 1986 Samford graduate and Legacy League Life member, teaches sixth grade at Providence Christian School in Dothan, Alabama. She received a Learning for Life Award from OBB in 2015. The Laynes are longtime members of Huffman Baptist Church where Ann started a “Little Free Library” and currently serves as librarian. 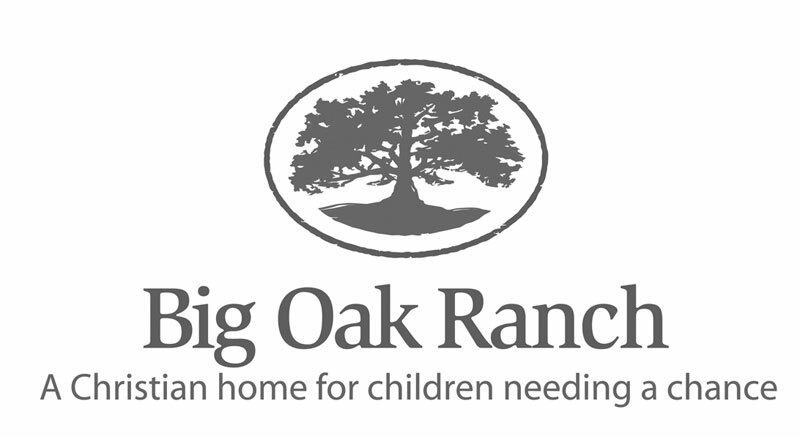 John Croyle and his wife, Tee, have given their lives to help abused, neglected and abandoned children have a second chance through the Big Oak Ranch. These children have overcome incredible odds to succeed personally and academically because someone has taken the time to love and nurture them. Caring for approximately 100 children at the ranch is expensive, and extra money has to be raised each year to give the high school graduates a chance to attend college. Because of this, the Samford University Auxiliary has committed to offer a fully endowed scholarship to a student from Big Oak Ranch. Gifts to the scholarship fund will help not just one student, but many students from Big Oak Ranch for years to come. The Bill and Audrey Cowley MK Scholarship exists as a source of financial assistance for Samford students who are MKs (children of missionaries). It is an endowed scholarship. Through the decades, Samford has maintained a strong missionary identity. Dozens of her graduates have served on mission fields, both domestic and foreign. It was only natural that some of their children would find their way to Samford for education. These MKs attracted other MKs whose parents were not Samford graduates. Sometime during the late 1980s, Samford was home to at least 90 MKs. It is estimated that hundreds of MKs have spent at least a semester at Samford with a good percentage of them having graduated. Samford and MKs are mutual blessings. Samford provides an encouraging and supportive learning environment for these “Third Culture” students. Her faculty, facilities, and Christian atmosphere are focused to their needs and plans. For their part, MKs bring a fresh, challenging, eye-opening world view to fellow students, their classes, and the campus. They draw a lot of “prayer attention” to the campus, especially from Woman’s Missionary Union, which by policy and practice firmly supports MKs and their education. In 2012, a group of adult MKs—Samford graduates—introduced the idea of an MK Scholarship with the hope of helping to restore MK enrollment to the level known in some years past. These graduates made the initial contributions to the scholarship fund. 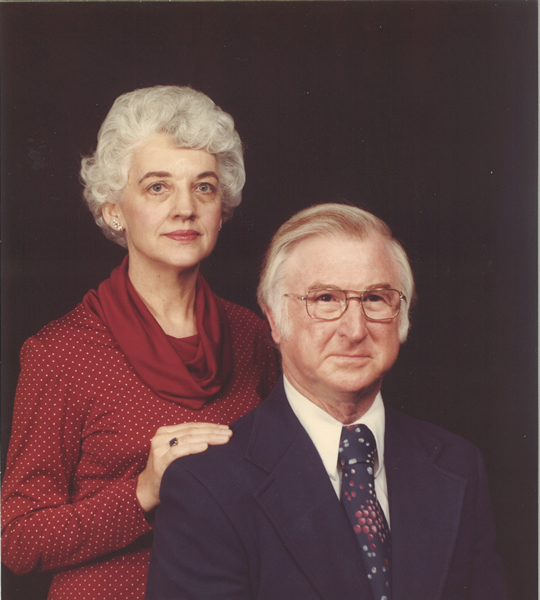 They proposed to name the scholarship in honor of Bill and Audrey Cowley, former career missionaries in Nigeria, who, during the 1970s, 80s, and 90s provided surrogate parental home-away-from-home support for Samford MKs. Dr. Cowley was a Samford faculty member and Mrs. Cowley, at one time, was treasurer of national Woman’s Missionary Union. The Cowleys’ two daughters and their spouses are MKs. They and two grandchildren, and the spouse of one grandchild are all Samford graduates. The spouse of another grandchild is a Samford professor. 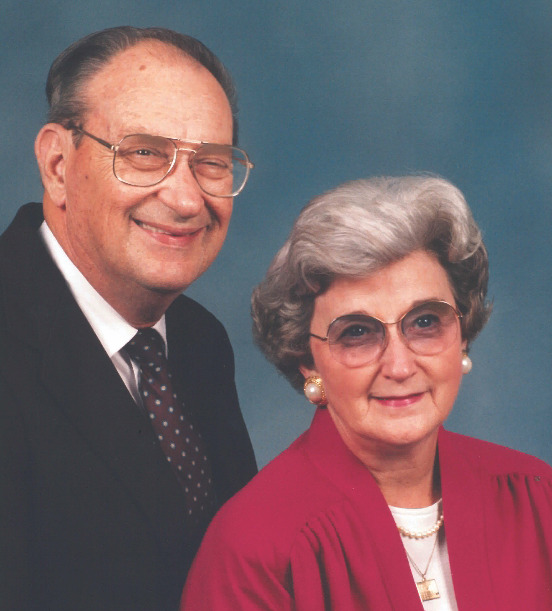 The Bill and Audrey Cowley MK Scholarship is to be awarded to students with demonstrated financial need who are dependents of currently serving full-time evangelical Christian missionaries who were appointed or sponsored by a duly-recognized evangelical Christian mission agency. Contribution to the scholarship is open to all. Byron Smith, a 1951 graduate of Howard College was born in Greenville, Alabama and grew up in Montgomery. He began preaching as a 17 year old college student, answering a clear calling to ministry, despite his shy nature. 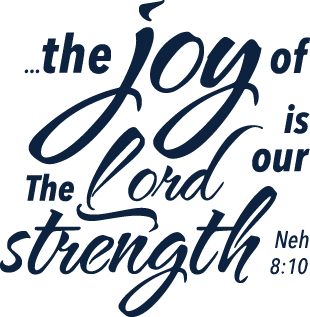 He attended Southern Baptist Theological Seminary in Louisville, Ky. For nearly 17 years, he pastored First Baptist Church, Port St. Joe, Fla., then spent the next 20 years in prison ministry. Upon retirement, Byron returned to part-time ministry at Letohatchee and Steep Creek Baptist churches, both which he had pastored during college. Sarah, a native of Pell City, Alabama, was the daughter of a Baptist preacher. After meeting Byron at Howard College, she faithfully served alongside him in ministry for the rest of her life. She taught Sunday school, directed weddings, sang in the choir and planned programs, all the while being a fabulous mother to her children, Jennifer and Charles. Sarah worked as a teacher and in the prison system. It is out of deep gratitude for all they taught her and great admiration for her parents that Jennifer established the Byron and Sarah Smith Scholarship to assist young people with significant financial need. Through this scholarship, announced at the 2018 Scholarship Luncheon, the Smiths’ ministry will continue in the lives of young people who want to manifest Christ in the workplace. Caitlin Creed was born Dec. 1, 1987, and was a source of pride and inspiration to her parents and those who knew her during a short but exciting life ,which ended April 30, 2007, near the end of her freshman year at Baylor University in Texas. A social work major, Caitlin wrote on her Freshman Leadership application that “If God brings me to it, he will bring me through it.” Her life had been changed after a trip to Ecuador, where she ministered to poverty-stricken children. As a result, her goal was to make a difference in peoples’ lives. Her parents, J. Bradley and Kathy Creed, saw Caitlin grow into a beautiful young woman both inside and out. Early in life, Caitlin set goals, endured and hastened to accomplish them. According to her mother, even at nine months, when Caitlin realized walking was the next order of business, she set a determined look on her face and practically willed herself to do so. Later, she willed herself to learn a back handspring to make the Homewood High School cheerleading squad. She willed herself to do her best in school when it did not come easy. She willed herself to achieve high marks her first year at Baylor, where she was a member of Tri Delta Sorority and Freshman Leadership. Throughout her life, Caitlin was gregarious and involved. She made and kept friends, and was loyal to them. She cared for and reached out to people on the fringes. She loved to laugh and talk loudly. She overlooked little differences, forgave small offenses and kept relationships going. She loved her Lord, studied his word and shared her faith. Caitlin’s father served as provost and executive vice president of Samford University. Caitlin had a brother, Charlie, and a younger sister, Carrie Grace. The Creeds established this auxiliary scholarship to honor the memory of Caitlin, to give other students the opportunity to receive an education at a Christian university and to have the kind of positive experience that Caitlin enjoyed. A native of Grove Hill, Alabama, Carolyn came from a family who had faced significant challenges. Her father spent much of Carolyn’s childhood living in a nursing home and died when she was a teenager. Carolyn’s mother, a school teacher, worked hard, sacrificing for her children and encouraging them to set goals and work hard, too. Carolyn thrived at Howard, spending two years on the East Lake campus then finishing her degree on the new Lakeshore Drive campus. She was involved in the Baptist Student Union choir, cheerleading, the Service Guild and Phi Gamma Mu, the oldest and preeminent social sciences honor society. Carolyn credits the good mentoring and instruction she received at Howard for enabling her to earn a full scholarship to Tulane, where she earned a Masters of Social Work. She later worked at Family Counseling and Baptist Hospital. Carolyn and her late husband, Don, were married for over 48 years and have three children, one of whom attended graduate school at Samford. Don always encouraged Carolyn’s support of Samford. Her commitment is also reflected in her service on the Board of Overseers and as the past National Alumni Association president. She is currently a Challenge member of the Legacy League and member of the School of the Arts Advisory Board. 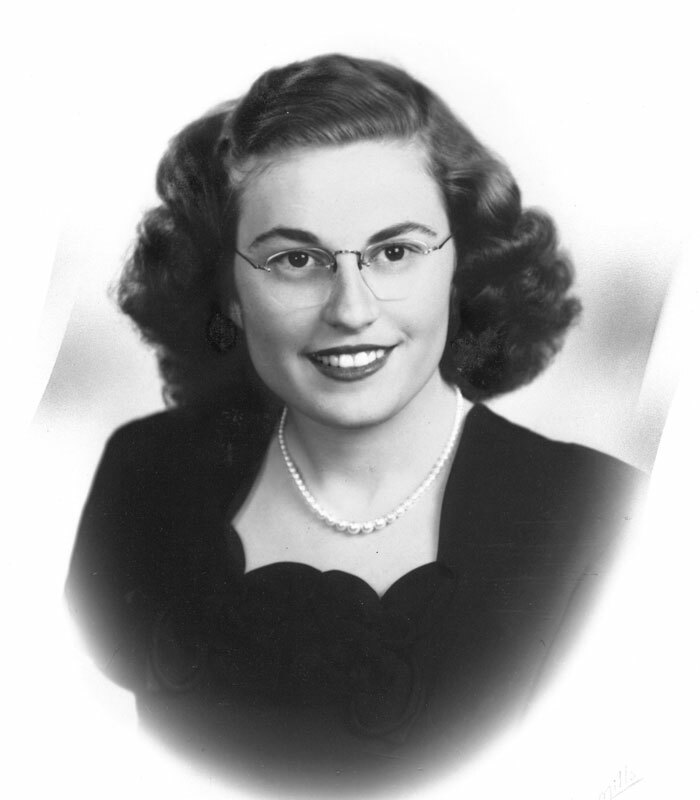 In a brief ceremony at the October 1994 Samford University Auxiliary meeting, the membership named a special scholarship in honor of life member Cornelia Macfarlane Brock. Although she was responsible for establishing the scholarship, Cornelia declined any recognition during her lifetime. Daughter Ann Brock Hillhouse was present to receive the posthumous honor for her mother. Born in 1905, Cornelia was a native of Fort Payne, Ala. She attended Huntington College and married Harry Brock in 1925. The couple moved to Gadsden, Ala., where they were active in First Baptist Church. She taught a young-adult Sunday school class and was president of the Woman’s Missionary Union, including the district director. As a result, she attended several Baptist conventions throughout the state and around the world. Visiting missionaries and preachers always enjoyed the hospitality they received in the Brock’s home. Later, Cornelia enjoyed the missionaries’ hospitality as she traveled the globe with the delegations that accompanied the president of the Southern Baptist Convention. In her later years, Cornelia moved to Birmingham to be near her two children, Harry Brock, Jr. and Ann Brock Hillhouse, and her grandchildren. She joined Mountain Brook Baptist Church and was active in Sunday school, Bible study and the XYZ (Extra Years of Zest) Club. Cornelia was dedicated to her family, church and community. The education of young church leaders was of great importance to her. The scholarship she provided serves as a legacy for future Christian educators. In 1998, the auxiliary established the Elizabeth Shoemaker Hudson Scholarship in appreciation for the support of student scholarships. Born in 1909, Elizabeth Shoemaker married Dan R. Hudson in 1934. They had one son, John Robert Hudson, a hospital administrator in Atlanta, Ga.
A life member of the auxiliary, Elizabeth was a member of Mountain Brook Baptist Church, where her late husband served as a deacon. They were devoted to the ministry of the church and generous in their support. A new wing of the church, dedicated in 2004, includes Hudson Hall. The organ in the chapel was donated by Elizabeth in honor of her husband, as was the renovation of the organ in the sanctuary. One of the stained glass windows that adorn the sanctuary was given in her husband’s honor, as was the porte-cochere. The Hudson name has long been synonymous with community projects as well. A leading insurance executive, Dan began his lengthy service on the Baptist Medical Centers Board of Trustees in 1949 and was president from 1961 to 1966. This was a time of extensive expansion and construction of Medical Centers Montclair and Princeton. He also was remembered for 10 years of service to—including the presidency of—the Jefferson County Personnel Board. Elizabeth served on the board of the Birmingham Antiquarian Society and was a member of several service groups. In earlier years, she was a regular volunteer at Birmingham’s University Hospital. The generosity of Elizabeth is reflected in the gift of her porcelain collection to the Birmingham Museum of Art. Her First Period Worcester porcelain was produced during 1753–86. While the Elouise Wilkins Williams Scholarship was officially established in the spring of 2008 to coincide with her retirement as Samford University Auxiliary coordinator, the endowment of student scholarships has long been her focus. In large part due to the generosity of Elouise and her husband, Harold, the auxiliary currently supports named endowed scholarships totaling more than $1 million. A native of Pell City, Elouise attended Judson College and graduated from the University of Alabama. She earned the master’s degree from Columbia University in New York. Before moving to Birmingham in the late 1970s, she taught school in her husband’s hometown of Pell City, Ala., and continues to maintain a close relationship there. In fact, a new school opened there in the fall of 2008 was named the Elouise and Harold Williams Intermediate School. Although her spouse is a graduate of the law schools at both the University of Alabama and Columbia University, their two children claim Samford as their alma mater: son, Richard '81, and daughter, Anna ’83, J.D. '88. 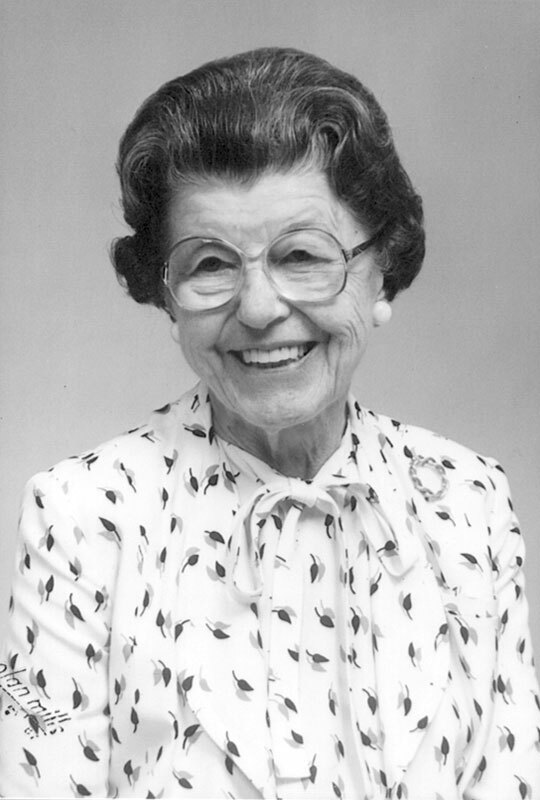 Before her 18-year tenure as coordinator (1990–2008), Elouise served as president of the auxiliary for four years. The two roles resulted in what Elouise referred to as "23 years of adventure in service, relationships and learning." She also served as program chairman before becoming president. 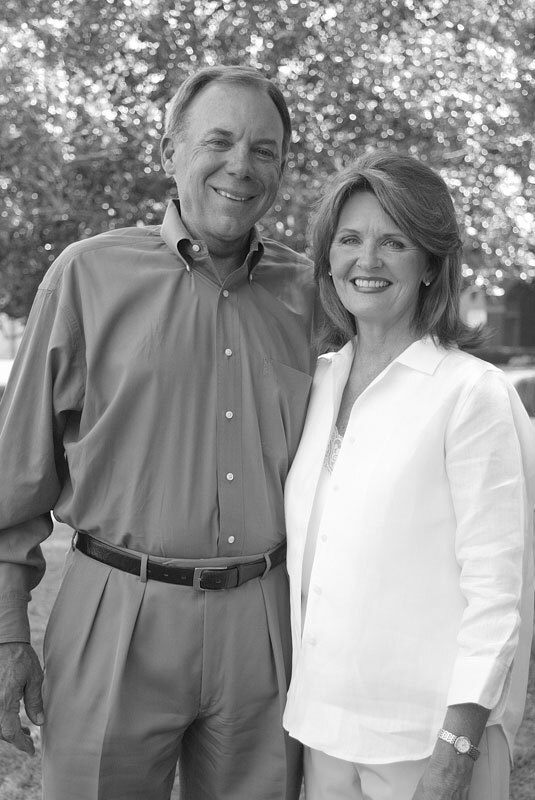 In 2004, the Samford Alumni Association recognized the couple’s service by naming them the university’s first honorary alumni. Elouise finds time to support a variety of causes. A former national president of the American Lawyers Auxiliary, she has been a board member, including president, of the Alabama Men’s Hall of Fame, and a board member of Judson College, Birmingham Music Club, Birmingham Bar Auxiliary, Music Club Guild, Antiquarian Society and the Women’s Committee of 100 for Birmingham, which named her 2007 Citizen of the Year. Elouise is a founding member of the Samford University Board of Overseers and a member of the executive council for Friends of Samford Arts. She and her husband are longtime members of Mountain Brook Baptist Church. The Glenn and Frances Slye Scholarship was established following the death of Frances Slye. The endowment honors Michael F. Anderson, husband of the Slye’s only daughter, Anne, and father of their only grandchild, Kyle Evan Anderson. Michael served his country as a chief warrant officer III in Operation Desert Storm. He was a special operations helicopter pilot whose duty was rescue missions inside the borders of Iraq. It was on one of these missions that his helicopter crashed and he lost his life. Because of Michael’s commitment to God, his country and his family, the scholarship will be given to Samford University undergraduate students enrolled in the Air Force ROTC program who demonstrate a Christian commitment in their lifestyle. Rev. Glenn Slye is a 1957 graduate of Howard College. Both he and his wife have been longtime supporters of the auxiliary. It is his commitment to continue to contribute to the scholarship fund and, at his death, to add to it from his estate. Samford University Auxiliary is honored to add this very meaningful scholarship to its mission of providing support to Samford University in nurturing students through learning in a Christian community. Glenn is pictured here with his daughter, Ann Anderson. 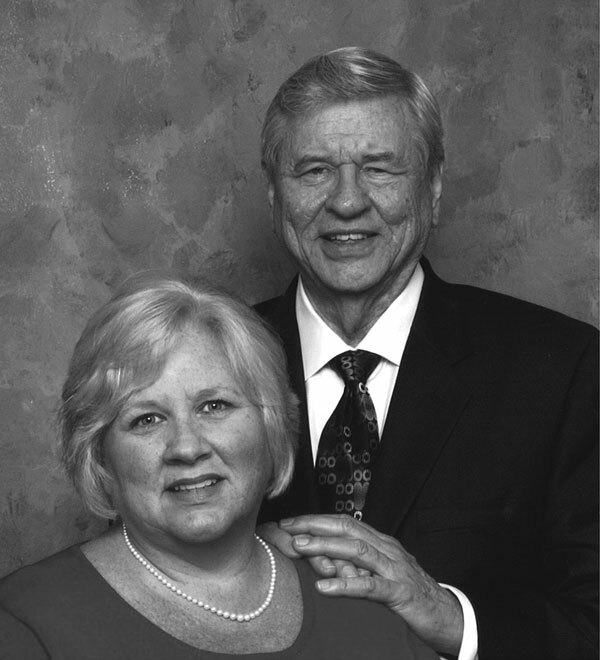 The Herman and Ruth Haas Scholarship was established by their daughter, Marla Haas Corts, former first lady of Samford University, and her late husband, Thomas E. Corts, while he was president. Herman Hass (1908–1995) was one of six children who grew up on a farm in Pennsylvania Dutch country near Allentown. As a youngster, he transported vegetables “to town” by horse and wagon to sell. After attending business college, he moved to Ashtabula, Ohio, to manage a Woolworth Department Store, known then as a five-and-dime store. There, he met and married in 1935 Ruth Johnson, who worked behind the lunch counter in the store. They were the parents of two children, Greg and Marla. Later, Herman worked in insurance and real estate. 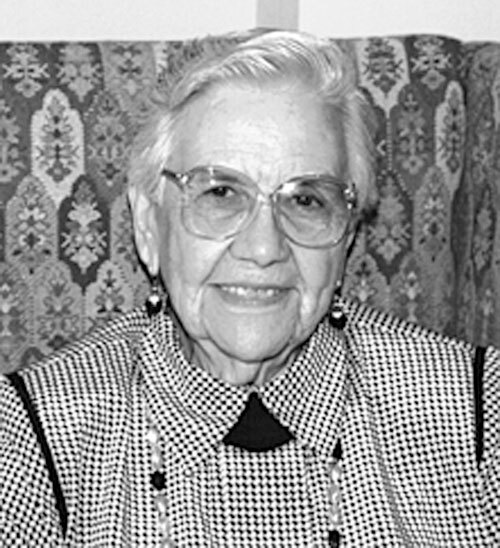 Ruth Johnson Haas (1913–2000) was the daughter of Swedish immigrants and was raised in Ashtabula, Ohio, on Lake Erie. She delighted in caring for her family, was an excellent cook, and enjoyed sewing and a variety of handcrafts. After her son and daughter entered high school, she worked in retail in a local department store. Donor Martha Gaskins made this commitment to honor the staff and members of Huffman Baptist Church, as well as the faculty and students of Samford University and members and officers of the auxiliary. Gaskins’ devotion to the education of young people inspired the gift; thus the scholarship is awarded to a student pursuing a degree in Samford’s Orlean Bullard Beeson’s School of Education and Professional Studies. For 37 years, Martha was a dedicated servant in public education, including 28 years as a classroom teacher or principal, and nine years as a member of the Birmingham Board of Education (1981–1990). The Birmingham Board of Education named a school Martha Gaskins Middle School in her honor. Martha began her career with the city in 1934 teaching art at Wylam Elementary School. Then she taught science at Norwood Elementary until 1935. She returned in 1944 and taught at Curry Elementary, Huffman Elementary and North Roebuck Elementary. 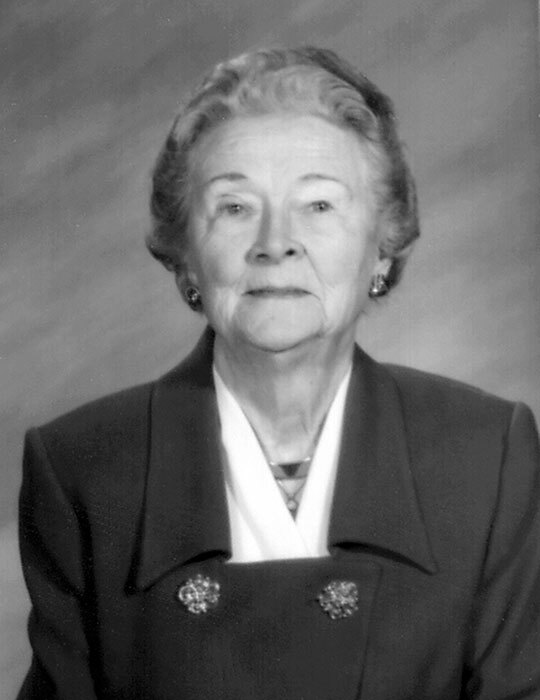 In 1968, she was appointed principal of Going Elementary, where she remained until her retirement in 1973. Martha’s commitment to education is corollary to her service through PTA, church and community. Martha and her late husband, Roy, had two children: a daughter, Wanda, who lives in South Carolina, and a son, Glenn, who lives in Mexico. Soon to be 99 years of age, Martha lives near her daughter. Pat, the 1971 Heisman Trophy winner while playing quarterback at Auburn University, was named the 35th head football coach at Samford in 2006. He came to Samford from the coaching staff at the University of Alabama at Birmingham. Earlier, he was head football coach at Texas Christian University from 1992 to 1997. Born in 1950, Pat is a native of Birmingham and graduated from John Carroll High School. He earned the B.S. degree in business administration from Auburn in 1972 and received numerous honors as a football player, including SEC Player of the Year, Academic All-American and Academic All-SEC, SEC Most Valuable Player in 1970, Senior Bowl (1972) and Sugar Bowl (1972), and consensus All-American in 1970–1971. Following college, Pat played professional football with the Atlanta Falcons, Washington Redskins and San Francisco 49ers. He is a member of the Alabama Sports Hall of Fame, the National Football Foundation Hall of Fame and the College Football Hall of Fame. Pat’s father, Jerry, played football at Howard College (now Samford) in 1949 and 1950. Born in 1950, Jean is also a native of Birmingham. 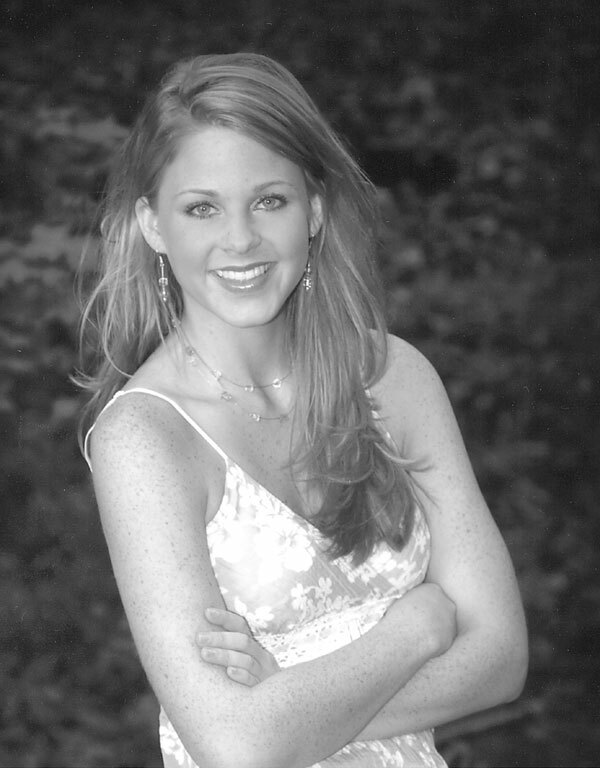 She graduated from Berry High School and Auburn University. A realtor, she worked for many years with Johnson, Rast and Hays. The Sullivans have three adult children: Kim Silliman, Tripp Pankey and Pat Sullivan. Julia Tarrant Barron (1805–1890) was a wealthy, public-spirited widow residing in the flourishing antebellum town of Marion, Ala., in the mid-1900s. She was one of the founders of Howard College, now Samford University (1841), Judson College (1838) and The Alabama Baptist (1843). Samford University Auxiliary named a scholarship in her honor for a lifetime of generous support of Christian education. Julia was a member of historic Siloam Baptist Church. In fact, she donated the land on which the church was built. When Dr. and Mrs. Milo P. Jewett, the new president of Judson Female Institute, arrived in Marion, they were guests of Julia. She also paid the rent for more than a year on the first building erected on the new Howard College campus. Her son, John Thomas, was the first collegiate graduate of the college in 1846. According to the Rev. James H. DeVotie, Julia’s pastor, she gave the first donation ($4,000) to Howard College and was one of four individuals who financed the publication of The Alabama Baptist when it was begun in 1843. Her influence in Christian higher education has crossed time, space and generations. As a result, she was inducted into the Alabama’s Women’s Hall of Fame in 1991. The Legacy League Adoption Scholarship recognizes the legacy created in the lives of people who are adopted or received foster care and those who love them. This endowment has been created through the generous contributions of more than 240 Legacy League members and friends as well as proceeds from 2012–2013 Legacy League events, including the inaugural Sunset 5K for Scholarships, the Christmas Home Tour, the Scholarship Luncheon with Karen Kingsbury and the Scholarship Gala with Sean Tuohy. This scholarship will make a life-changing Samford education available for students who are adopted or in foster care and could otherwise not afford this experience. In 2015, Samford University celebrated a milestone -- 100 years of teacher education. Recognizing that the tutelage and care of teachers profoundly impacts the lives of their students, the Legacy League created the Centennial Scholarship to provide financial assistance for young people pursuing a career in education. This scholarship will help students with a calling to teach obtain the training they need to educate the next generation. Like all Legacy League funds, this scholarship will provide financial assistance for students with significant financial need and challenging circumstances. The Legacy League Education Centennial Scholarship was established through the generous contributions of more than 300 donors, including Legacy League members and friends, as well as proceeds from 2014-15 events including the Sunset 5K, the Christmas Home Tour, the Scholarship Luncheon featuring Anita Renfroe, and “An Evening with David Phelps,” our 7th Annual Scholarship Celebration. In celebration of 100 years of Samford Arts, the Legacy League collaborated with the School of the Arts to create the Legacy League School of the Arts Centennial Scholarship. This fund provides financial assistance for students with significant financial need and challenging circumstances who are pursuing a degree in the Arts. Samford Arts have a rich tradition, and innovative programs are shaping students to use their talents to influence the world and share the love of Christ through their gifts. Samford music has profoundly impacted music education, the church and performance stages with alumni serving as teachers, ministers, performers and leaders in the music industry around the world. Former drama students have won the highest of honors in their industry and earned distinction through their service to others. Graduates of Samford art and design programs inspire with incredible beauty and the highest professional standards. The Legacy League School of the Arts Centennial Scholarship was created through the generous contributions of more than 300 Legacy League members and friends and the proceeds from 2015-16 events. The year’s four successful fundraisers (Centennial Celebration Concert, Christmas Home Tour & Holiday Gift Market, Scholarship Luncheon featuring Kelly Minter and On the Town with Samford’s Legacy League, our 8th Annual Scholarship Gala Celebration) attracted large audiences, helping raise over $135,000 for this endowed fund. The Legacy League Vision Scholarship was established through the gifts of more than 200 individuals and businesses who share the organization’s vision for “making a difference in the lives of students through need-based scholarships.” The commitment to that vision was also evident in the tireless work of over 200 volunteers who planned and executed the year’s four successful fundraisers. 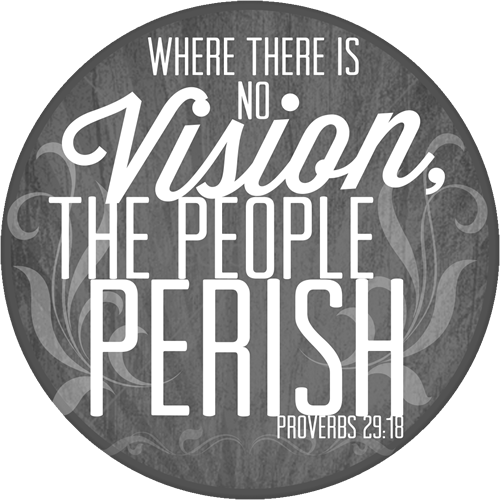 Those events, as well as the 2013-14 programs, featured visionary speakers who are being used by the Lord to do His work in a variety of unique ways. At the annual Scholarship Luncheon, Jennifer Rothschild, author of Lessons I Learned in the Dark, shared how the Lord has used her loss of physical sight to teach her about His strength faithfulness and abiding presence. During the Scholarship Gala Celebration, the audience marveled as Christian illusionist Curt Anderson made a Ferrari disappear and performed other amazing sleights-of-hand while imparting the message of the Gospel. Throughout the year, Legacy League scholarship recipients conveyed the very real impact of the scholarship funds they have received. The Vision Scholarship will make it possible for more students with significant financial needs and challenging circumstances to benefit from a life-changing Samford education. The Legacy Scholarship honors those who have made a difference in the lives of others and commemorates the new name of the organization previously known as the Samford University Auxiliary. This newly endowed fund will provide life-changing scholarships for deserving students who could otherwise not afford the Samford experience. Successful projects carried out by missionary societies of several denominations created the momentum for the formal founding of the Howard College Auxiliary in 1925. Sixteen women met at the Tutwiler Hotel to draft the constitution of the new organization that adopted as its purpose "the promotion and development of Howard College." The following years saw the completion of numerous Auxiliary projects. From landscaping to furnishings, from playground equipment to hymnals, the Auxiliary helped meet the needs of Howard College, and later Samford University, in a multitude of ways. 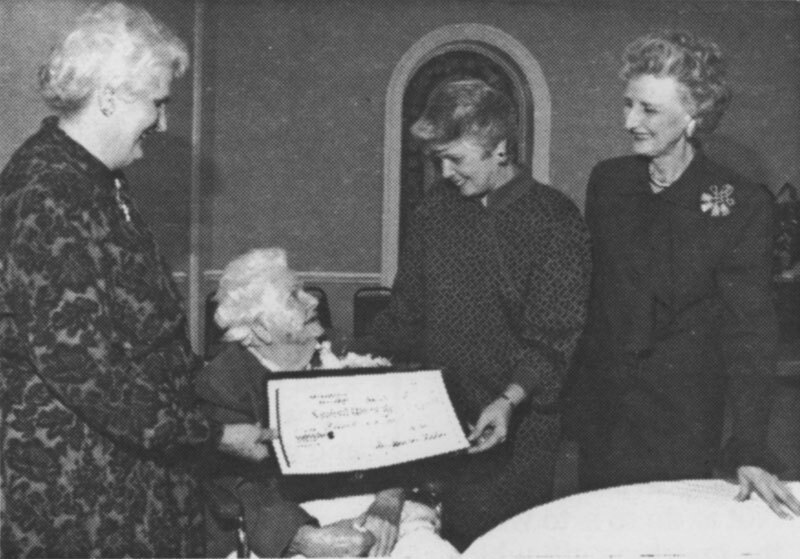 In 1988, the Auxiliary took a bold new step—the creation of a scholarship endowment. Since its inception, the endowment has increased significantly through investments and the addition of new scholarships, including the Legacy Scholarship. Funds from the endowment have helped provide the Samford experience to an ever-growing number of deserving young people with financial need. Its impact will continue for perpetuity. In October 2011, the officers of the Samford University Auxiliary unveiled a new name-- Legacy League, an Auxiliary of Samford University. The name was adopted in recognition of the long and distinguished history of support of our university by women—a legacy that lives on in the material improvements to the campus, but more importantly through the lives of students who receive scholarships. In addition to honoring the past, the new name challenges current members and friends to create their own legacies for future generations through the addition of endowed scholarships, helping students attend Samford University well beyond our lifetimes. The Leslie Parkman Roe Scholarship for Missionary Dependents was established by an anonymous donor in appreciation for the impact that Leslie had on the donor through their years as students at Samford and beyond. Legacy League members, friends of Samford University and others are invited to participate through their gifts. After graduating from Samford with an A.D. in nursing and a B.S. in biology, Leslie earned her M.D. from the University of Alabama School of Medicine and completed her internship in internal medicine there. She lives in Virginia and is married to Brian Roe.They are the parents of three children. Through the years, Leslie has ministered to many: hospice care to terminally ill women, a home away from home to college students, hospitality to Chinese delegates, encouragement to homeschool families, food pantry help to the poor, sewing locations through her sewing business, teaching Bible studies and playing the piano. This scholarship is established to aid other MKs with their Samford education. It’s a family thing as well. 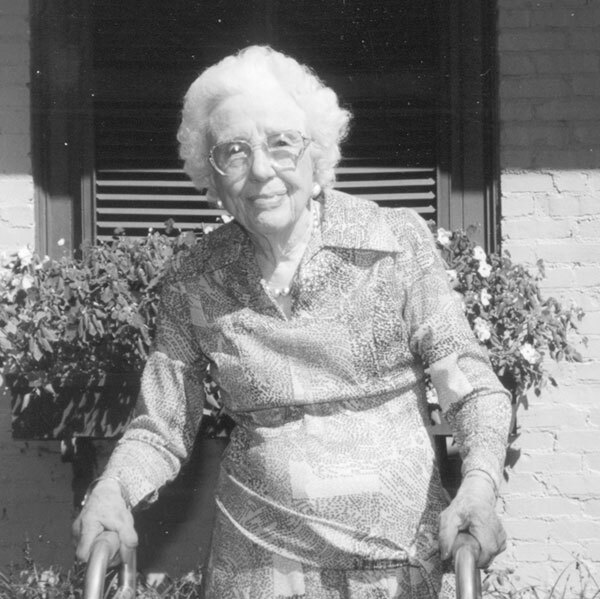 In 1995, to celebrate the 100th birthday of her mother, Amelia Perry Apperson, Lottie and her family established and endowed an auxiliary scholarship in her mother’s name. Lottie was born in 1930 in the western section of Birmingham. She graduated from Jones Valley High School and was active in First Baptist Church of Birmingham. In fact, she was one of the first recipients of a scholarship to Howard College (now Samford University) established by the church. She was married to the late William Russell Jacks, and they have four children and seven grandchildren. Lottie attended Samford University and majored in biology. 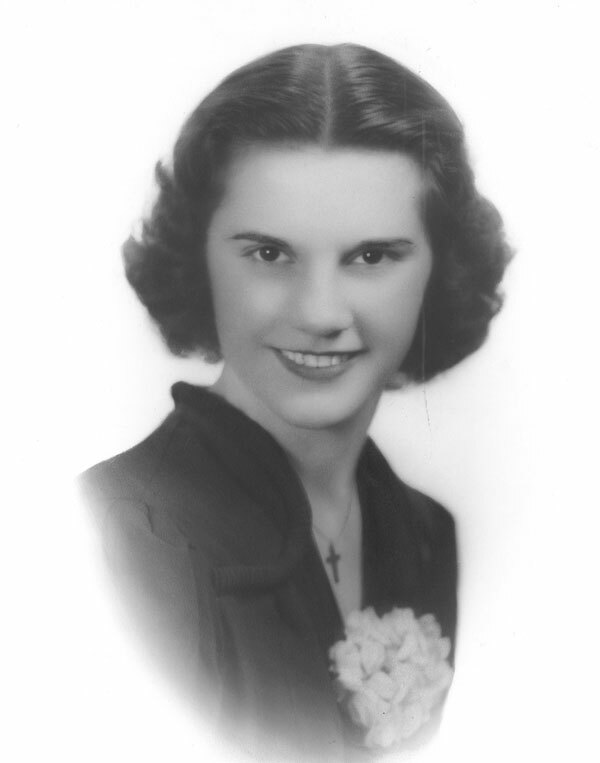 Many years later, she returned to Samford to complete her degree, graduating in May 2016 at the age of 85. For more than 35 years, she served as a registered medical laboratory technician with Simon Williamson Clinic in Birmingham. After her retirement, she became interested in writing and took courses in creative writing at the University of Alabama and Beeson Divinity School. This avocation led to the publication of articles in Open Windows and Mature Living magazines, and a novel about her mother. Known for her love and vision for missions, Lottie led Vestavia Hills Baptist Church to build a mission in Los Mochis, Mexico. The mission has a church, a pavilion with kitchen and restrooms, and a playground. She has traveled with the team to Los Mochis to meet the people and to view the land on which a medical clinic will be built when funds are available. "The mission is doing wonders for the people in that very poor section of Los Machis," she said. Lottie’s passion continues to be with Samford University and the auxiliary. 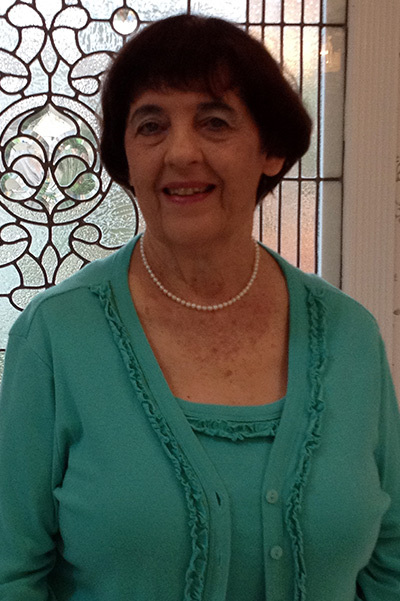 She served for two years as auxiliary president and continues to be active in the organization. Margaret Pate Putman’s parents moved to the East Lake area of Birmingham from Goodwater, Alabama, before the Great Depression with plans for their children to attend Howard College (now Samford University). For most of Margaret’s childhood, students from the college lived as boarders in their home, and she became friends with many of them. Margaret attended Barrett Grammar School and graduated from Woodlawn High School before she graduated from Howard with an A.B. degree in 1929, and later a master’s degree in the last graduating class on the East Lake campus in 1957. Her family attended Ruhama Baptist Church, which was next door to their home and known as the college church for Howard students. At an early age, she made a public profession of faith in Christ there, attended “Sunbeams” and was always in Sunday school. She later became the nine-year-old Sunday school teacher. When Ruhama moved to its 79th Street building, Margaret and her 9-year-old girls' class joined the entire congregation to march in the street "in one big body." Later, she became a student at Howard and decided it was time to attend the college department. "Ruhama Church was good to me," Margaret said. 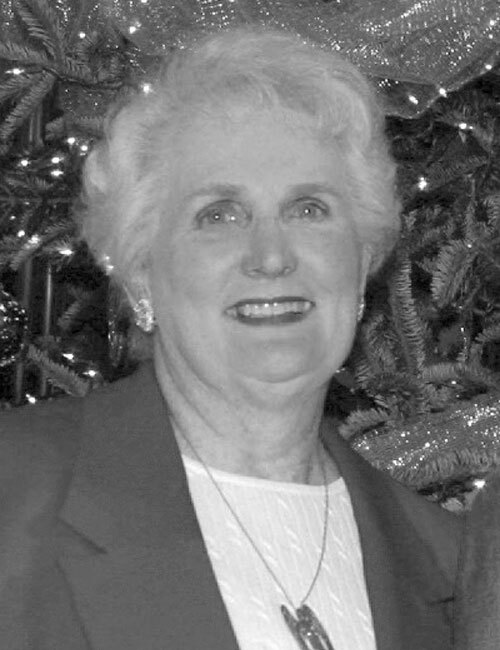 She taught or was a leader in the Young People’s Sunday School Department for about 40 years. Upon graduating from Howard in 1929, she began teaching at Leeds Elementary School, where she worked until retirement. When she established the auxiliary scholarship in September 1988, Margaret wrote: "I hope the small way I have been able to help some students will encourage and strengthen them to be a fine Christian persons throughout their life." Margaret died on April 11, 1999. The Samford University Auxiliary established the Marla Haas Corts Scholarship in 2006 to honor her longtime service as the organization’s executive director, and to serve as a perpetual reminder of her commitment to scholarship and the auxiliary. She served in this position for several decades while her late husband, Dr. Thomas E. Corts, served as president of Samford. They retired in 2006. Born in 1941, Marla grew up in Ashtabula, Ohio, attended Columbia Bible College for two years (1959–1961), and then Houghton College in New York, where she graduated in 1963 with a major in English and a minor in secondary education. She taught high school English briefly and then married her high school sweetheart in 1964. In 1974, she earned a nursing degree and worked part time at a hospital in Wingate, N.C., while her husband was president of Wingate College (now Wingate University). 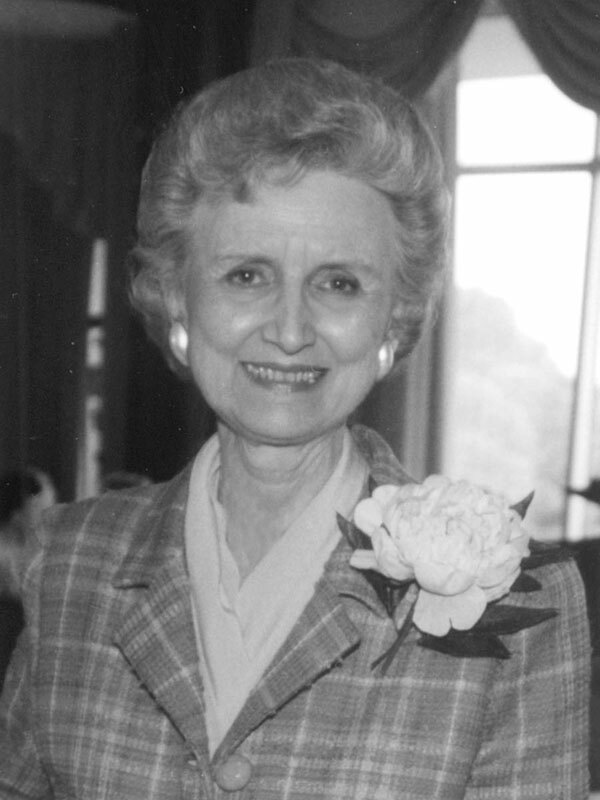 As Samford’s first lady from 1983 to 2006, she also served as executive director of the auxiliary. During that time, the organization grew significantly in membership to more than 1,500, and the endowment to more than $1 million. Additionally, the major emphasis of the auxiliary became raising funds for endowed scholarships. 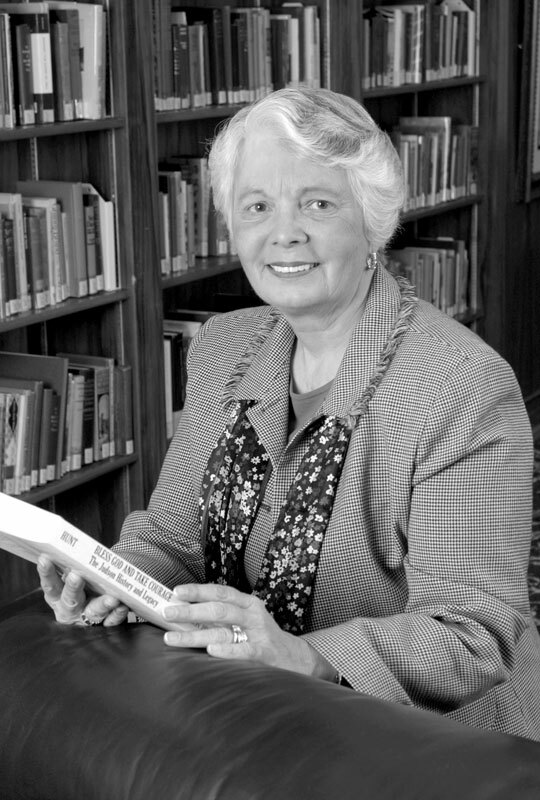 Active in all aspects of the university’s life, of particular note is the Marla Haas Corts Missionary Biography Collection in Samford’s University Libraries. The collection contains more than 1,400 volumes about foreign missionaries. It was established by family and friends to commemorate Marla’s longtime interest in missions. She has visited mission points throughout the world and was instrumental in establishing a village school in Liberia, which is named in her honor. In addition to her busy role as first lady, she was devoted to her husband and family, which includes daughters Jennifer and Rachel (Wachter), and son, Chris, along with eight grandchildren. In 2011 the School of Education launched the annual Tom and Marla Corts Distinguished Authors Series in their honor. Marla was awarded the Lolla Wurtelle Wright Award in 2016 for her years of dedicated service and commitment. 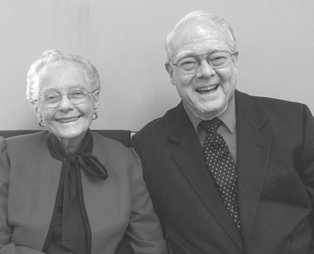 Through their generous bequest and estate gift, the Gradys’ commitment to education endures with the creation of the Myra Gravlee Grady and Odell F. Grady Memorial Scholarship. This scholarship honoring their memories will provide financial assistance for students who could otherwise not afford a university education, ensuring that the Gradys’ legacy of life-changing work continues. For decades, Myra and Odell Grady, both graduates of Howard College (now Samford University), made a difference to countless young people in Alabama classrooms. They both earned master’s degrees from the University of Alabama where Dr. Grady also earned her doctorate of education. 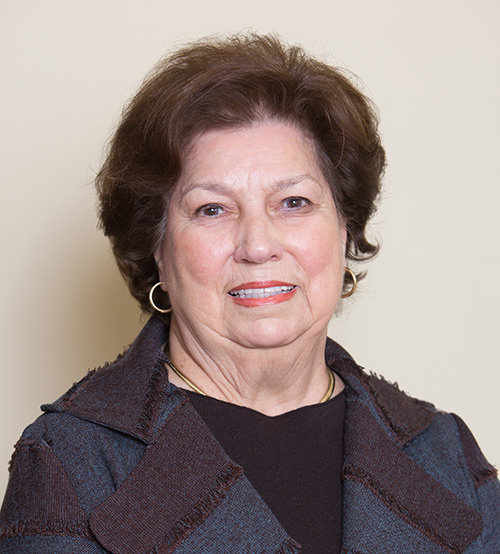 An active member of the Samford University Auxiliary (now Legacy League) and a member of the Executive Committee, Dr. Myra Grady taught at the elementary, high school and college levels. She later served with the State of Alabama as an education specialist and consultant. Mr. Odell Grady, a WWII veteran, was a teacher and then an elementary school principal. Once honored as a teacher of the year, he worked for the Alabama Department of Education as a consultant before his retirement. 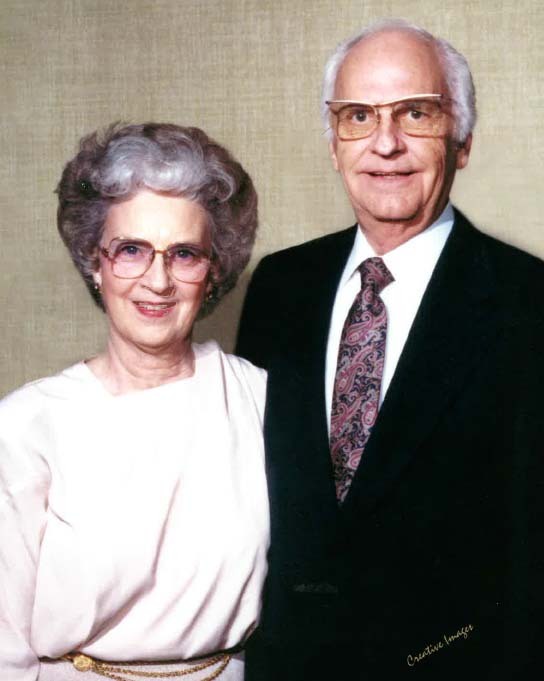 Residents of Trussville, Alabama, the Gradys were members of Deerfoot Baptist Church upon their deaths, though they were formerly long-time members of Ruhama Baptist Church. Ruhama Baptist Church was organized March 27, 1819, by pioneer settlers in Ruhama Valley in the Territory of Alabama. The valley is now known as East Lake Community. Ruhama was organized nine months before the territory was admitted to the Union as the 22nd state, and 51 years before the city of Birmingham came into existence. Leaders in Ruhama became leaders in the Canaan Association and the Alabama Baptist State Convention. The church grew strong and influential. Howard College, now Samford University, relocated from Marion, Ala., in 1887 to East Lake near the church. The two Baptist institutions were destined to be closely associated for 70 years, each nurturing the other, each steeped in strict Baptist principles. The college staff provided strong leadership for the church, and the church provided spiritual support for students and faculty. The church became a practice field for students. Various departments in the church frequently called on talented students to speak, preach, teach and perform musical renditions for special church programs. Today, professionals throughout the world claim both Ruhama Church and Howard College as strong influences in their lives. Missionaries, pastors, musicians, teachers and businesspeople are among those most likely to claim these two institutions as motivating forces in their careers. Howard College relocated in 1957 to the present site in Homewood, Ala. It soon reached university status and was renamed Samford University. Due to socioeconomic changes in the community, Ruhama Church declined and merged with First Baptist Church of Irondale. The last service at Ruhama was Dec. 2, 2001. Greater Emmanuel Temple Holiness Church bought Ruhama’s building and began worship services there Dec. 9, 2001. As a legacy, the church made an endowment to Samford University to provide scholarships in the future for worthy students. Ruth Edwards Merz was born in 1919 and grew up in Philadelphia, Pa., in the midst of the Great Depression. Her father died when she was two, leaving her mother with three children to support. So they would not lose their tiny row house, they took in boarders, cramming the family into one small room. Despite these conditions, Ruth was outgoing and excelled in school. She graduated from high school at age 16, but because of her family’s financial situation, a college education was not possible. Ruth met her future husband in high school. After their wedding, she continued working so that her husband could earn his college degree in night school. He was the first of many whom she financially and emotionally supported to earn a college education. Ruth and her husband struggled and sacrificed so that their three children could all complete college and graduate schools. Ruth wanted them to have the many advantages that an advanced education brings. Ruth was also fully committed to her church. She ministered to the poor and was involved with youth activities. She was a positive and loving mentor to neighborhood children. Even as adults, many continued to keep in touch with her, saying that her affirmation of them as valuable people made a difference in their lives. She encouraged them all to work hard and to get a good education. In 2002, Ruth’s funeral was attended by a broad spectrum of the community—people of multiple faiths, ethnicities, age and social standing. She had cared for them all. Most importantly, they all knew she was sincere in her love for them and their education. This scholarship is dedicated to her memory and provides continuing financial support in her honor. 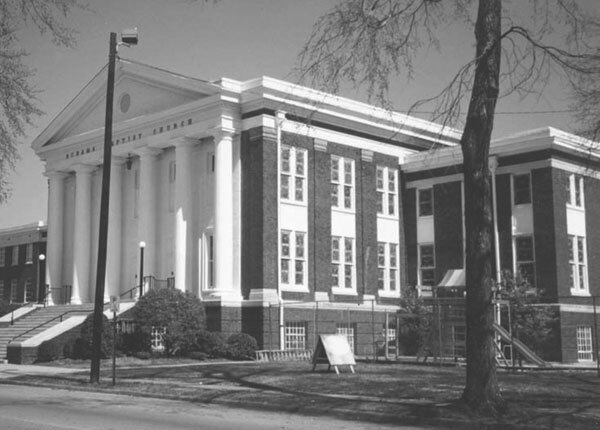 In December of 1841 Howard College, a new school for young men, was founded in Marion, Alabama. Named for British prison reformer John Howard, the college opened with a class of nine students under the leadership of 26-year-old Samuel Sterling Sherman on Jan. 3, 1842. One hundred and seventy-five years and two locations later, Samford University in Homewood, Alabama, is home to more than 5,000 students and one of the region’s top universities. In grateful appreciation for all those who helped ensure that Samford survived and thrived through her first 175 years, the Legacy League established this scholarship to provide financial assistance for students with significant financial need and challenging circumstances. This scholarship honors the sacrifices God’s people have made for this beloved institution, helping it survive two fires, war and economic depression and making it accessible to young people who could otherwise not afford it. Samford’s 175th Anniversary Legacy League Scholarship was created through the generous contributions of more than 400 Legacy League members and friends and the proceeds from 2016-17 fundraising events. The year’s events included the Christmas Home Tour & Holiday Gift Market, the Scholarship Luncheon featuring Melanie Shankle, the Laura Story concert and the Scholarship Celebration with the Annie Moses Band. In its inaugural year, the Junior Board Committee contributed to this scholarship through its calligraphy workshop, an event with a style consultant and two restaurant fundraisers. Belva Dozier Owen dreamed of going to Howard College and then to serve on a foreign mission field. When she graduated from high school, however, her family had no money for further education, so she went to work. Later, she married and had two daughters in whom she instilled a love of God and education. When her husband abandoned her, Belva worked hard to provide for her children. She sacrificed to make sure they had what they needed while she did without. She determined that they would have the educational opportunities she missed. She passed on to her oldest daughter, Karon, a love of Samford University, and prayed for resources so that Karon could attend. Through several generous scholarships, Karon was able to attend Samford. Belva never lost her love of missions. Although she was not able to travel to foreign lands, her mission field came to her. She began the Girls’ Auxiliary program at her church to educate girls about missions. She corresponded with several missionaries and prayed for them daily. She reached out to people who moved into her neighborhood, became their friend or "adopted mother," and always involved them in church. When the end of the Vietnam War brought refugees to Montgomery, Alabama, Belva taught them English and helped them adjust to life in America. Her commitment to their families went beyond her role of English teacher; she helped them navigate the process of buying homes, welcomed them into her own home and shared with them the good news of Jesus Christ. This scholarship recognizes not only Belva’s sacrifices to send her daughters to college, but the sacrifices made by other mothers committed to providing their children a college education. The Walker Ministry Scholarship was established to honor Dr. Gerald and Mrs. Martha Lou Fagan Walker and their families who attended Howard College/Samford University. More than 20 individuals from the Fagan and Walker families attended Howard College/Samford University, spanning three generations. While a student at Howard College, Martha Lou Fagan was active in the Baptist Student Union and known as a talented pianist. Until her illness confined her to her home, she provided music and accompaniment for Samford Auxiliary events. She served as an officer in the Auxiliary (now Legacy League) and was a Life Member until her death in August, 2012. 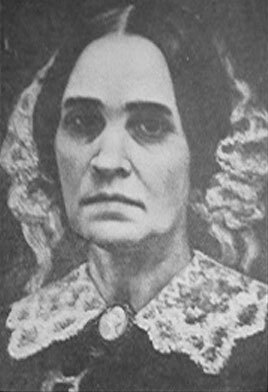 Her two sisters, Mary Elizabeth Fagan Gann and Sarah Jo Fagan Smith both attended Howard College and married preachers, Jesse Lee Gann and Charles Byron Smith, Sr. Her brother in law, L. Reed Polk, Sr., served on the Board of Trustees. Her nephew, L. ReedPolk, Jr., was in the first graduating class on the Lakeshore campus. Gerald grew up three blocks from the Howard Campus, and his family took in student boarders for income. Two of the borders were Dr. Rod Davis and Dr. Hudson Baggett. Gerald was a pastor/minister, who consistently influenced students to attend Howard College/Samford University. He pastored churches in Kentucky, Florida, Alabama,and Georgia. 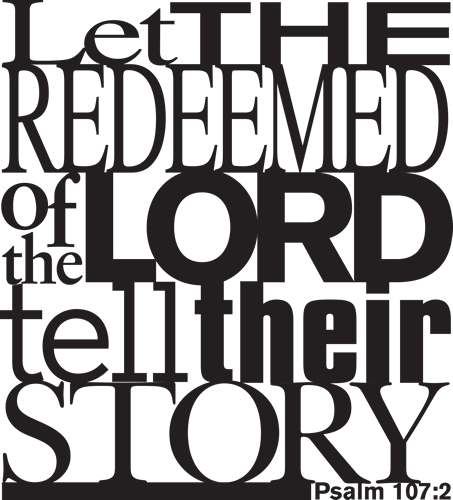 His gifts were in preaching and church planting. While a student at Howard College, he was president of the Baptist Student Union and his fraternity. His older brother, O. Lafayette Walker, was president of his class and went on to be Dean of the Department of Religion at Stetson University in Deland, Florida. Three sisters also attended Howard College. Katherine Walker went on to work for the Florida Baptist Convention. Mary Elizabeth Walker married alumnus, Lonnie W. Funderburg MD, who later became dean of the CRNA School at Samford University. Their daughter, Rebecca Elizabeth Funderburg From, is an alumna of the Ida Moffett School of Nursing. Martha Ann Walker married alumnus Billy Austin Shepherd, and their daughter,Sharon Shepherd Greeley, is an alumna of Samford University’s School of Education. The Walker’s only daughter, Cynthia Walker Watts, is an alumna from the class of 1971. Her daughter, Daria Parker Wilson, and her husband Stephen Henry Wilson graduated from Samford in 1998. They are grateful for Samford University and its value in superior Christian Education, and it is their desire as a family to continue to be a part of the excellence in education provided by Samford University. Thus, they established this scholarship to help provide for students pursuing ministry as their life vocation, when other means are not available.